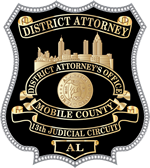 Mobile County District Attorney Ashley Rich is requesting the assistance of the public in the investigation into the assault of Matthew Owens at approximately 8:30 PM on April 21, 2012, on Delmar Drive in Mobile. To date no new information has been discovered that would lead to the arrests of other persons that may have been involved in the assault of Mr. Owens. “Investigators need more assistance from the public in this case and so far no one is able to identify any additional suspects, said DA Ashley Rich. “We know others have knowledge of what happened that Saturday night and we need someone to come forward to help identify any others involved in this case – they certainly can remain anonymous”. If you or someone you know has information that may assist investigators, you can submit that information anonymously by contacting the District Attorney’s Office at 574-8400 and speaking with Mike Morgan.